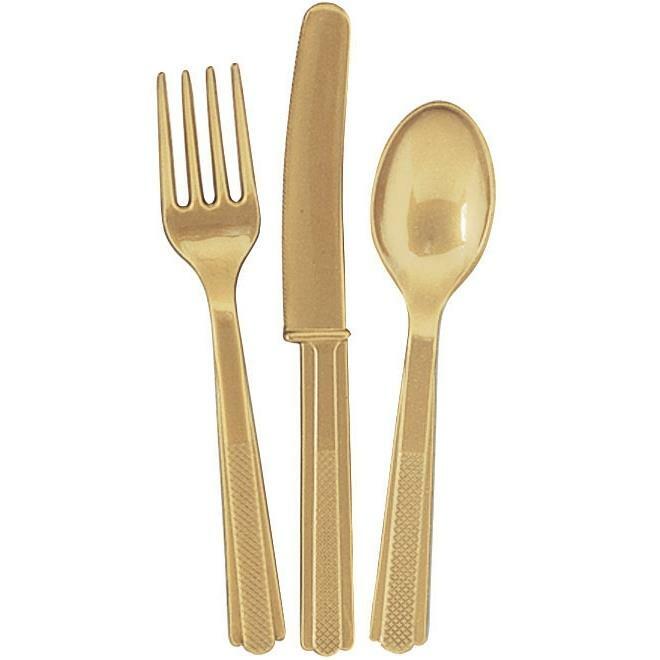 Gold Party Knife, Fork and Spoon Cutlery Set for your Table. Design features Gold print. More matching Gold Themed Party items are available in our shop.